First of all, I wanted to let you know how much I LOVE writing these blog posts, and am so grateful to you readers for encouraging me to keep writing. Sharing my passion with you for the last year has been such a joy and as an added benefit, it has helped me to continuously learn and become more creative in my cooking. This week, the babies are the length of a carrot (I guess a medium sized one? Carrots come in all sizes!). As I brainstormed at my kitchen table, I decided not to post recipes that are usually associated with carrots. So….no carrot cake (although David's Alyssa just sent me an amazing one with almond flour…I’ll post it at another time). No carrot raisin salad. No carrot soup (since I have already shared two with you). I wanted to think outside the box and find unique carrot recipes that would be both delicious and fun. I had no idea how creative people can be with carrots and found such an amazing array of incredible recipes that I had to really think about which ones to share, eventually whittling my findings down to three. Here are the results of my carrot voyage. 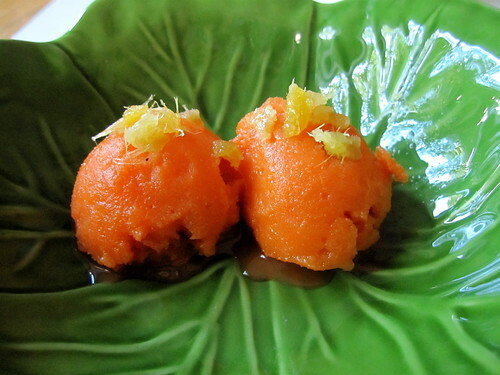 When I found this recipe for Carrot Sorbet in Vegetable Love, I was intrigued. I love the combination of carrots and ginger but have never made sorbet before. In fact, I haven’t used my ice cream maker for years and had forgotten that we even had one--stored in a cobweb-covered cupboard in the garage. 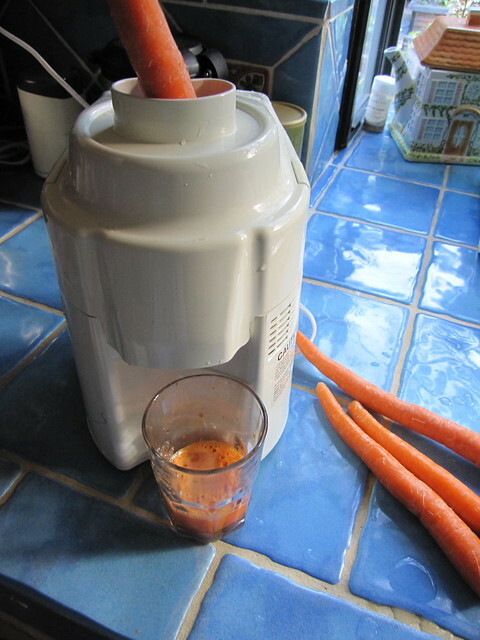 I also had forgotten that we had a juicer (I know…my memory is going) and almost bought the carrot juice for this recipe in our local organic food store as was suggested in the instructions. I really got excited when I brought these neglected machines out of their hiding spots and must say, had a blast making this UNBELIEVABLY DELICIOUS, TRANSCENDENTLY ORGASMIC (GGC: cough!) treat. I only wish that Archer and Fable had been here to make it with me, but I’m looking forward to making it again the next time they are here. I cannot imagine something more fun to cook with little ones! Note: You don’t need either an ice cream maker or a juicer to make this sorbet. The directions below tell you how to make it without the ice cream maker and you can buy your carrot juice at a health food store (don’t use pre-packaged carrot juice from grocery stores as the juice isn’t as delicious and fresh). A couple of suggestions: Although incredibly delicious, my sorbet was as hard as a rock (GGC: cough, cough!) after several hours in the freezer. I went online to find tips for making softer sorbet as I am a sorbet-making virgin. This website by Zoe Francois gives you a couple of suggestions on how to keep the sorbet creamier…One is using a couple of tablespoons of alcohol to keep it from freezing solid. (Not enough alcohol to change the taste or make anyone drunk). The other tip is to use more sugar syrup. Zoe offers a great way to check for the correct density by floating a whole egg in the mixture. This would be an awesome experiment to do with kids, too. Check out her ideas if you want creamier sorbet. Otherwise, if you don’t mind letting it sit out a little or eating it before it freezes solid, make the recipe just as it is. Bring to a strong simmer over low heat. Cook for 20 minutes. Strain and refrigerate. There will be about 1 cup syrup. 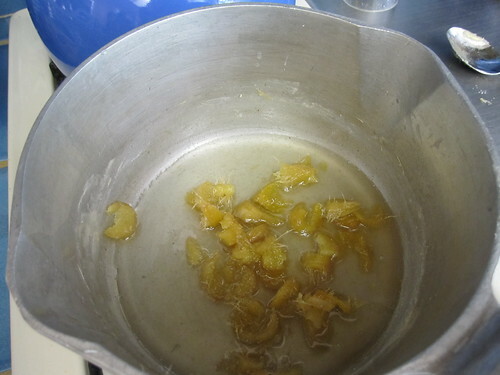 Stir the lemon juice into the syrup to liquefy it. 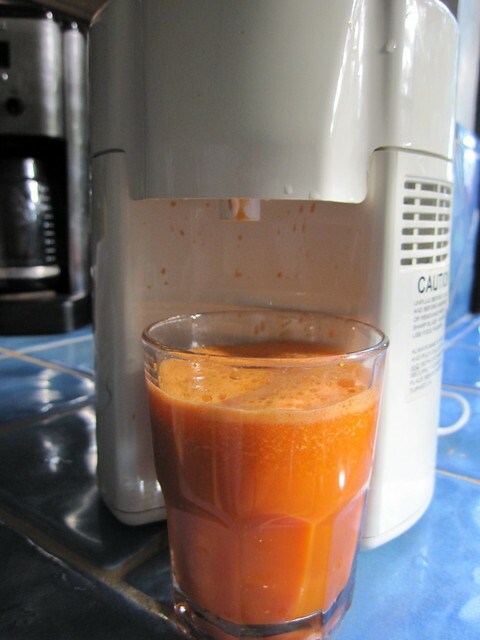 Combine with the carrot juice. 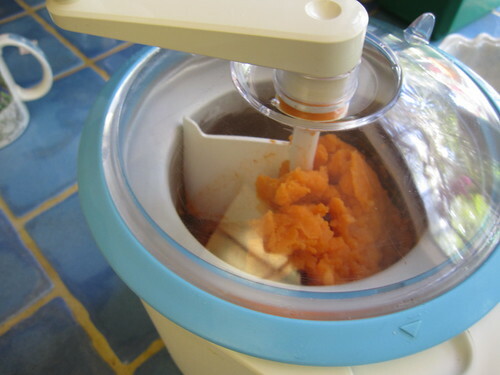 Churn the carrot mixture in an ice cream maker according to manufacturer’s instructions until it has the texture of soft ice cream. Transfer to a container and place in the freezer for one hour. Or, if no machine is available, put the mixture in ice cube trays and freeze until almost hard throughout. Put in a food processor and process until just smooth. Store in a container in the freezer. Top with ginger if desired. 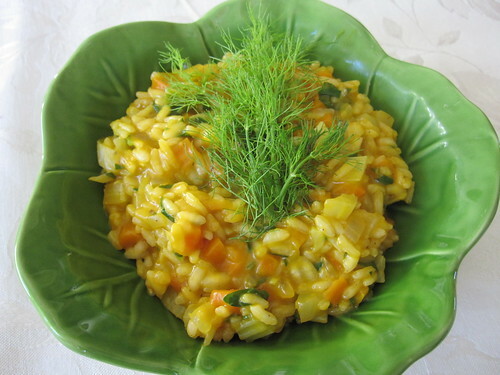 This next recipe for risotto is delicious and very easy. The carrots and fennel create an amazing combination of flavors. The original recipe doesn’t call for Parmesan cheese (since it comes from a vegan cookbook), which is a traditional addition to risotto. You can add ½ cup of it at the end if you want to. I adapted this recipe from The Vegan Gourmet. 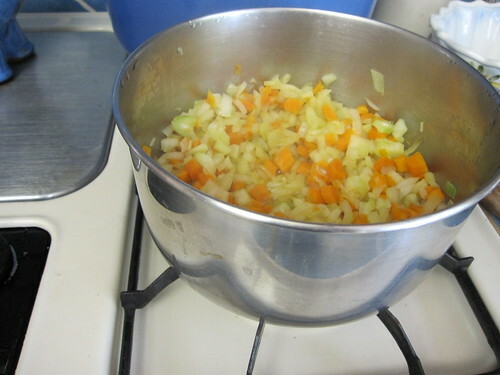 Heat the stock in a saucepan until hot, and keep on low. 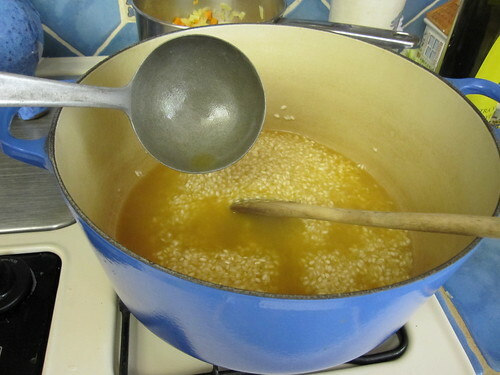 Place the brandy and 2 T of the stock in a 2-quart pot that has a tight-fitting lid over medium heat. Add the fennel, carrot, and onion. Stir to coat, cover, and cook for 10 minutes, stirring occasionally. Set aside, uncovered, when fork tender. Meanwhile, in a heavy bottomed sauce pan over medium heat, heat 2 T olive oil and add rice when hot, stirring to coat. 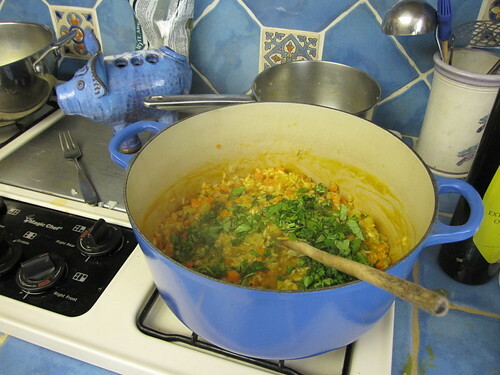 Add the vegetables, basil, and parsley with the last addition of stock and stir. 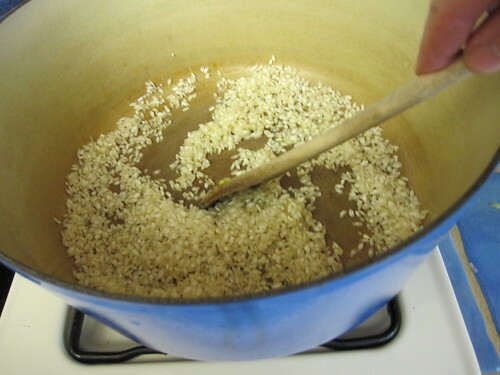 When stock has been absorbed and the rice is creamy and tender, transfer to a warmed serving bowl. (Add ½ cup freshly grated Parmesan cheese if desired). Salt and pepper to taste. Garnish with parsley or fennel sprigs. This carrot spread is a fun and delicious way to serve carrots, as either a lunch spread or as a dip. I experimented around with several versions and came up with this one…It’s really addictive! Serve with crispy crackers or open faced on a piece of toast with some greens on top. 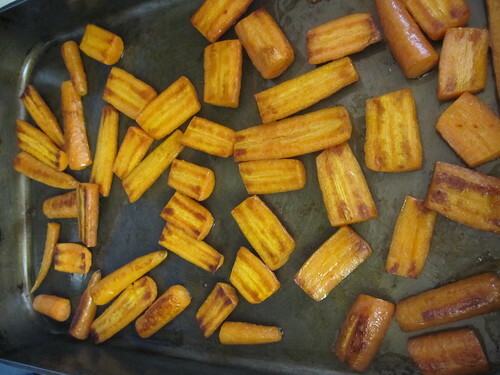 Scrub carrots, slice lengthwise, and cut into chunks, about 6 per carrot. 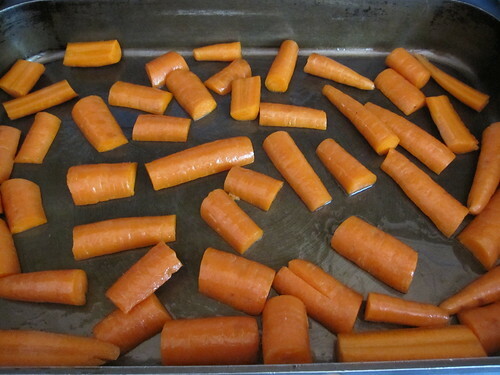 Lay in a flat pan big enough for all carrot pieces to have space around them. Drizzle with 1 T of the olive oil, and mix to coat. Roast at 425 for 10-15 minutes or until soft, turning once. 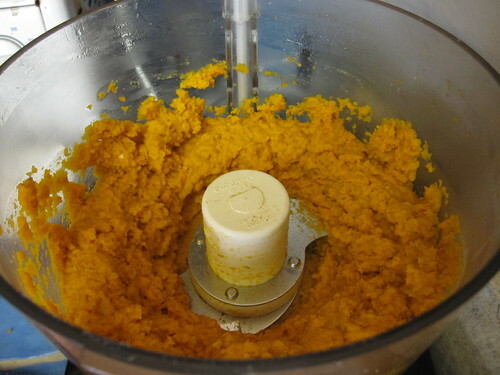 Combine the carrots and all other ingredients in a food processor. Mix until smooth. 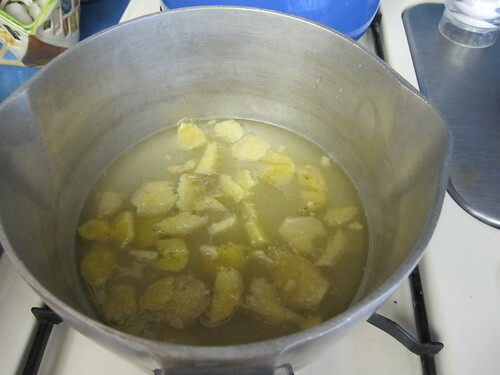 Can add more lemon juice or more oil if it is too thick. Serve with crackers or as a spread on bread. For anyone who lives in the San Diego area, I will be teaching a class on Simple Changes to Sustainable and Healthy Eating at the Rancho Santa Fe Garden Club on June 21st from 11-2. Anyone interested can sign up here or email me at wendywoolf@gmail.com for more information. An evening class will be coming, soon! Also, I HIGHLY recommend the movie Forks Over Knives, based on The China Study, now playing in select theaters. Love your posts and that these are food allergy friendly! So excited to try this bunch (no pun intended!) of recipes! 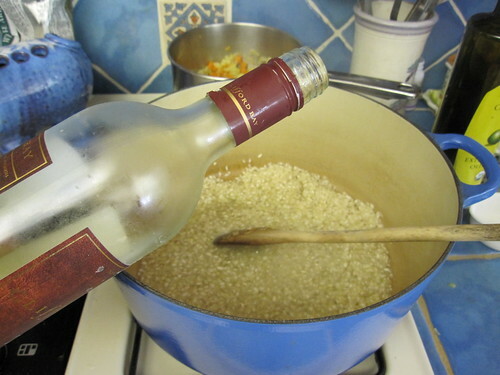 I have never made risotto from scratch, are the wine and brandy essential? My daughter is allergic to grapes, among other things. Thank you again! First of all- I love everything you've written here, I admire you so much as a cook and a mother, you're a lovely example of how I want to be with my children..... Enough mushy stuff, I was just commenting to tip you off to the rapunzel brand vegetarian stock cubes- they are amazing and (in my opinion) so much better than the tjs stock! I've looked for good vegetarian stock options for years to make my soups and risotto with and these are so good. You can get them at whole foods and lots of other natural foods stores. Thanks again for all you do- we make your Persian eggs all the time! HSW...Wine and brandy are NOT essential. You can use just the vegetable broth! I absolutely LOVE carrot juice and that carrot sorbet sounds like ambrosia. Thanks for the recipe. Elizabeth...thanks for the tip about rapunzel brand..I will look for it! And you guys are so dear...thanks for your sweet comments. So glad that you are enjoying the recipes. Hugs to you! But hooray, we love carrots. 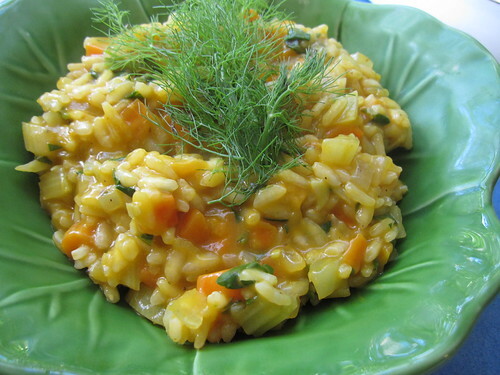 I wish we had a sorbet maker, but I will definitely try your carrot risotto! I think I could take up a vegan lifestyle if only I had you to cook for me! YUM! Loving your posts!! I have been on a sorbet kick lately myself (I have made both rhubarb sorbet and strawberry sorbet in the past month). In all of the recipes I see for sorbet, the authors suggest chilling the mixture prior to putting it in the ice cream maker. For my rhubarb sorbet, I did this by putting the bowl of sorbet into a larger bowl of ice water and mixing occasionally until cold. For the strawberry sorbet, I just refrigerated it for an hour. I wonder if this extra step would help with the hardness factor? I love these "eat well" posts. I was cracking up at GGC's "coughs" - what a team you two make! Ha. Please keep it up! xo. These all look delicious! Can't wait to try them. Thank you! These carroty recipes have made my day, thank you! Apparently our baby is as big as a pear this week - s/he is certainly going wild for lots of fresh fruit. Much appreciating your lovely blog & wishing you all the best from our pea green pod! Love this blog and am excited to see the babies grow. I have twin nephews and it's a great adventure! 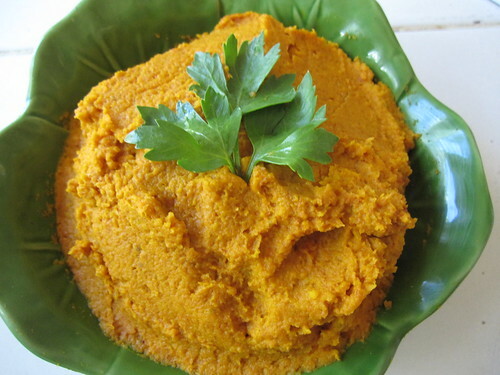 As for the carrot spread recipe, so far I have made it twice - so easy and super yummy. It's been a huge hit at both parties. Thanks for the great recipes!